Studio apartment in the center of city, within 5 min. walking distance from the historical part of Tallinn - the Old Town. 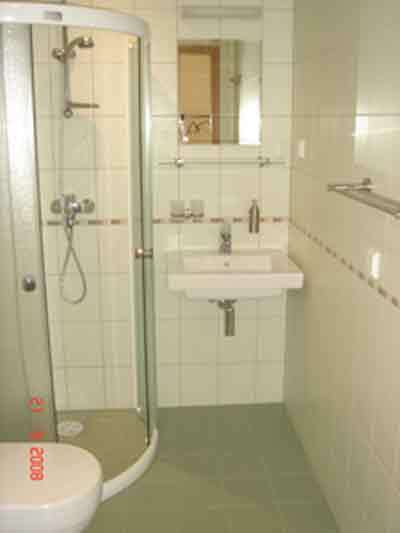 The apartment comprises living-/bedroom, bathroom/toilet, kitchen. 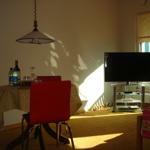 It is a sunny, silent and cosy apartment where 2 persons can be freely accommodated. 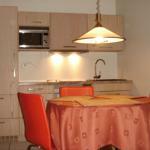 The apartment has excellent transport connections with the seaport, airport, railway terminus and bus station. Twin beds, extra bed opportunity, bed linen, central heating and hot water, refrigerator, electric cooker, balcony, free maid service. Pre-pay stay: the total price of the reservation will be charged in advance. One child under 2 years stays in a child's cot/crib for 15 EUR per night. 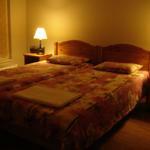 Up to two older children or adults are charged 15 EUR per person per night for extra beds. Public parking is possible at a location nearby (reservation is not possible) and costs 4 EUR per day.